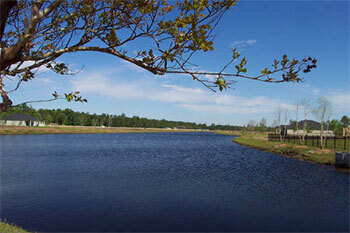 Welcome to this great home in Sebastian Cove with view of the lake! 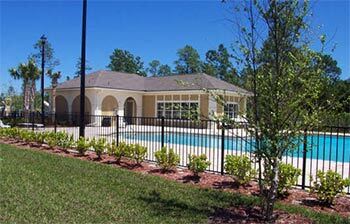 This is a new community consisting of family homes and condos. 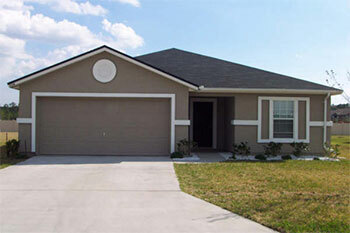 It is family oriented and features a pool, exercise facility, playground etc. A 2nd pool is planned for the near future. This home has a tiled foyer; behind foyer is the large living room, light and bright with newly installed laminate flooring. 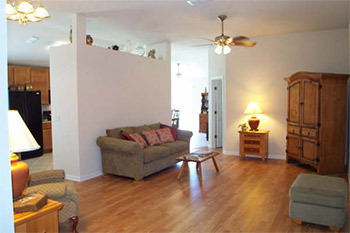 To the right of the foyer and living room are 3 bedrooms and 1 bathroom. 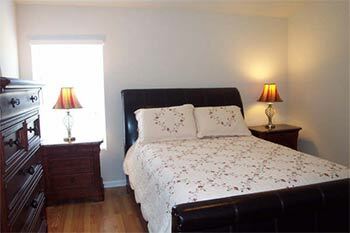 The bedrooms have large closets and windows either facing the front or side yard. The bathroom is in between 2 bedrooms, it has a tub and shower, tiled flooring (same as foyer) and maple vanity with oversized mirror. To the left of the living room is the kitchen with breakfast nook. A door from breakfast nook leads to the 2-car garage which has the laundry room with washer/dryer hook-up. 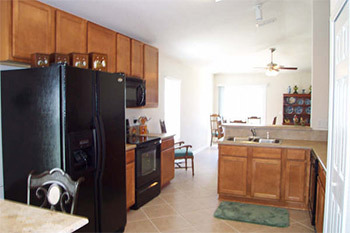 The beautiful kitchen has lots of quality 42in. maple cabinets and a pantry for additional storage. All appliances are Whirlpool and of a sophisticated black: Smooth Top Range with Self Cleaning Oven, Side by Side Refrigerator with Icemaker, ice-water in door, Dishwasher and GE built-in Microwave. Kitchen has a lot of counter space and connects to the formal dining room. Floors in kitchen as well as in dining / family room are tiled. Sliding glass doors from the dining room open up to the large patio and huge back yard. 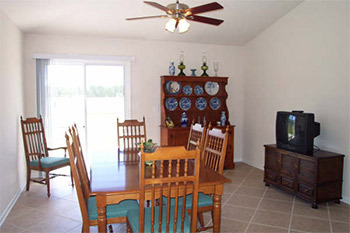 To the right of the dining room is the master bedroom and master bath. The master bedroom has a large walk-in closet with shelving and laminate floors. 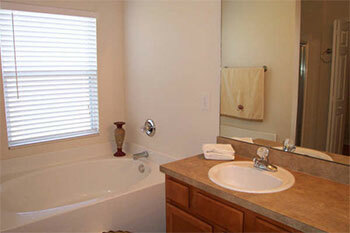 The master bathroom has his-hers lavatory�s, a garden-tub, separate shower stall, maple cabinets and large mirrors. Floors are tiled. This practically brand new home boasts a lot of upgrades, has ceiling fans throughout, knock-down ceilings and Orange Peel Wall Texture. The yard is very well landscaped with maple trees and fruit trees.